The Church of Daviot was granted its charter in the 13th century as a mensal kirk for Elgin Cathederal and the Abbey of Pluscarden. The original church may have been built about the time of the reformation. A later church was certainly built in 1763-4 although no trace remains. (1795 Old Statistical Account Vol. 14 pg70). The present church dates from 1826 and is situated beside a small hillock, locally known for generations (at least from the time of the old drove roads) as Cnoc an t’Saigart, the ‘Priest’s Hillock’. (Now across the new A9). The contractors were Macphail and Macfarlane (or Macpharlane). The specification and possibly the design was prepared by Alexander Grant factor to The Mackintosh. The contract price was £873 13s 0d. The galleries were removed and the walls were strengthened with steel tie rods in 1936. Daviot and Dunlichity parishes were united in 1618. After the Reformation there came an unsettled period of national turmoil, with the story of the parish reflecting the conflicting claims of Presbyterianism and Episcopacy. The repercussions continued well beyond the Protestant ‘Settlement’ of 1690, and the Jacobite defeat at Culloden in 1745, and have been painfully felt in these parts of the Highlands. 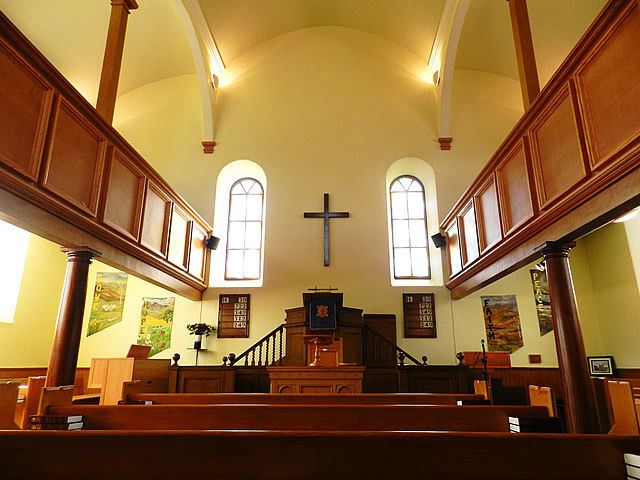 In the early 19th century, the parish of Daviot became the scene of one of the test cases over the question of patronage, which led to the 1843 Disruption and the establishment of the Free Church of Scotland. A landmark on the new A9, Inverness 5 miles north. 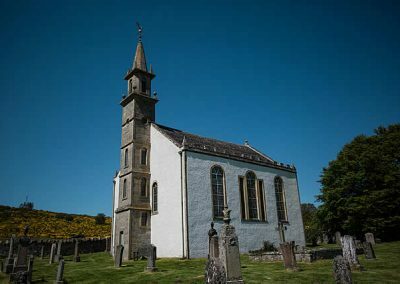 Daviot Church, was formerly known to drovers as the ‘kirk of the golden cockerel’ because of its distinctive weather vane. Near the church door to the right is the burial plot of the family of the late Rev. Alistair MacLean, the writer father of the famous author of the same name, and to the left is that of the late Rev. Dr. John MacPherson. The present building replaced a previous building with its separate bell tower, it was completely restored in 1991, with substantial help from Historic Scotland. It is now part of the linked charge of Daviot and Dunlichity with Moy, Dalarossie and Tomatin. 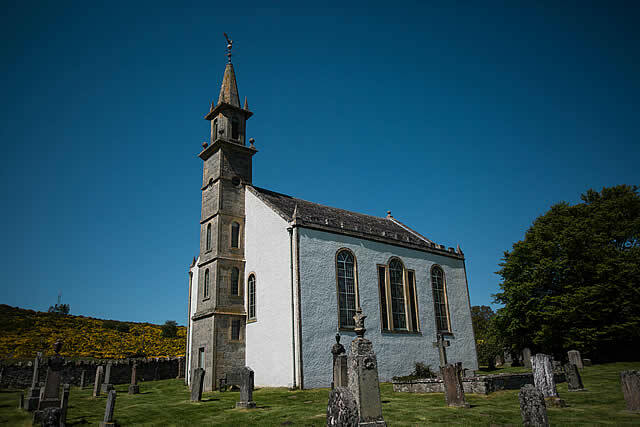 Daviot Church is a famous landmark on the A9 on an ancient site of worship. With the help of a grant from Historic Scotland and the General Trustees it was completely renovated in 1991. The roof was repaired, the gallery restored, the buttresses holding up the walls no longer necessary therefore removed and even the cockerel on the Steeple was re gilded. It was a tremendous undertaking, but with God’s help and inspiration the work was done and paid for with no debts. It is a building with a long history, but its since its renovation a wonderful feeling of light and uplifting spirit makes worship here an awesome experience. 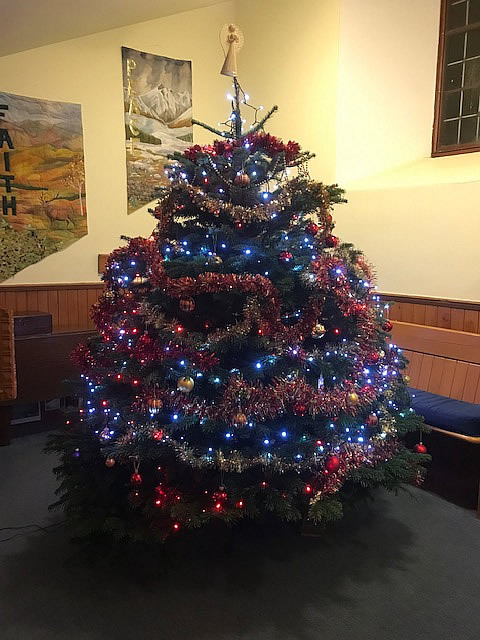 Our services at Daviot Church are at 12 noon each Sunday and we have evening services in the summer months starting in April and ending in October at Dunlichity Church at 6.30pm as well as at Christmas time. 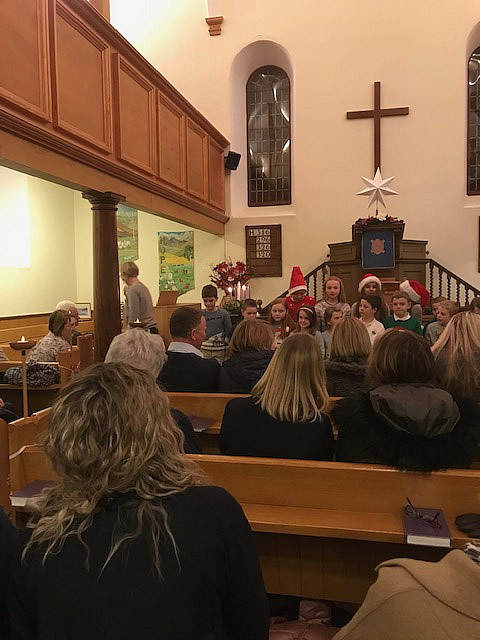 Worship in Daviot is fairly traditional. We enjoy those who come so faithfully to lead us in worship during our vacancy. We mainly use CH4, though we also use Mission Praise occasionally – depending on who is leading the service and their wishes. The last few years of Daviot & Dunlichity have seen many changes. Since Daviot Church was restored in 1990, there have been weekly services held at Daviot at 12 Noon. 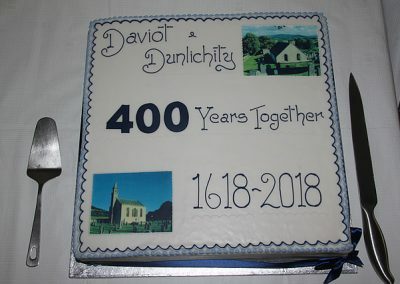 Before then the services alternated between Daviot & Dunlichty Churches. The Dunlichity services have been held in the summer evenings. They are on the first Sunday of the month from April until October at 6.30pm. 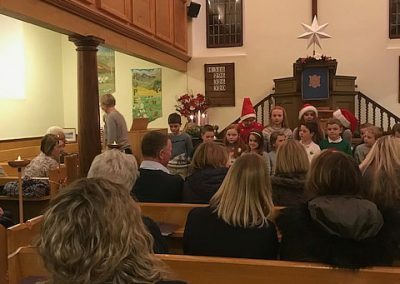 The services are usually themed with congregations from other denominations being invited to take part. We have had a variety of very interesting speakers over the last year and seen growing attendance. We enjoy a time of fellowship after the service with refreshments being served. 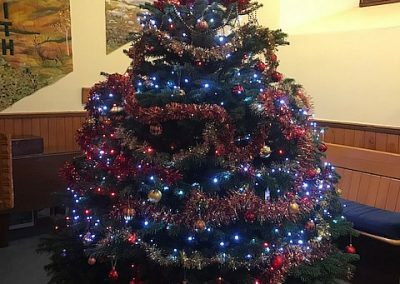 We often have a Christmas evening service at Dunlichity on the last Sunday before Christmas followed by festive refreshments. 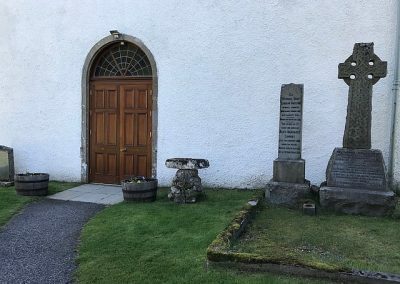 For the World Day of Prayer, and on Good Friday, and sometimes around New Year, we have Joint Services with our sister parish of Moy, Tomatin and Dalarossie, with the venue alternating between the two parishes. We hold a joint Remembrance Sunday Service with St Paul’s, Croachy. This is held at 10.15am at the War memorial at Daviot where a wreath is laid. 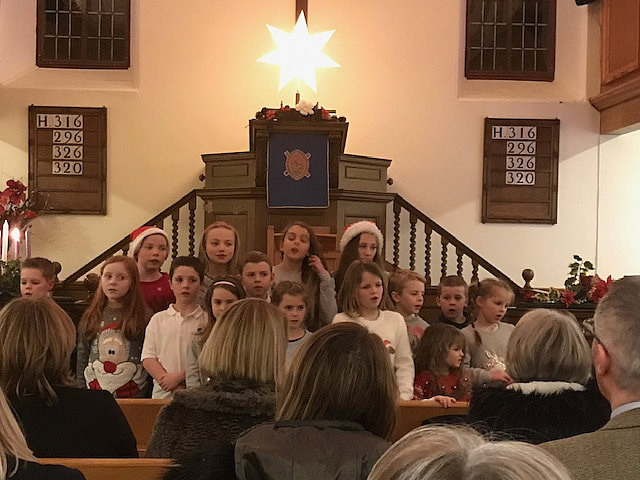 This is followed by the Service at Daviot Church. Refreshments are served after the service. 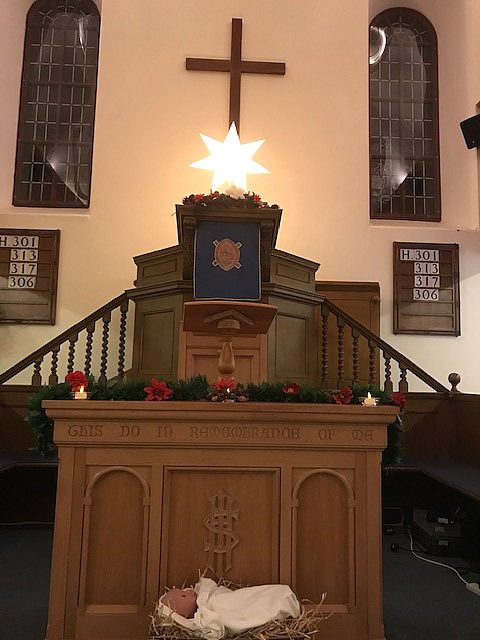 We have a Christmas Midnight service on Christmas Eve starting at 11.15pm. This is always a lovely service where we often see visitors. 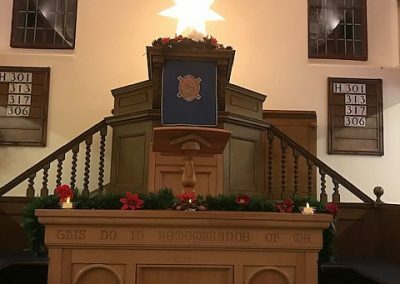 Pulpit supply is provided by various Ministers and Readers, including Vivian Roden from Moy, Dalarossie & Tomatin and Deaconess Joyce Mitchell who has recently been appointed as Moderator of Inverness Presbytery. 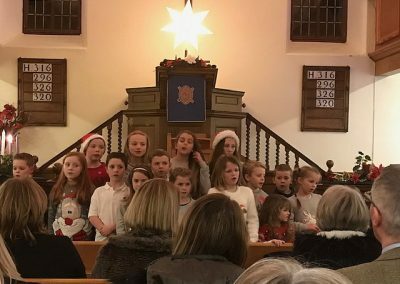 All are warmly welcome at any, or all of our services or activities. The Rev. 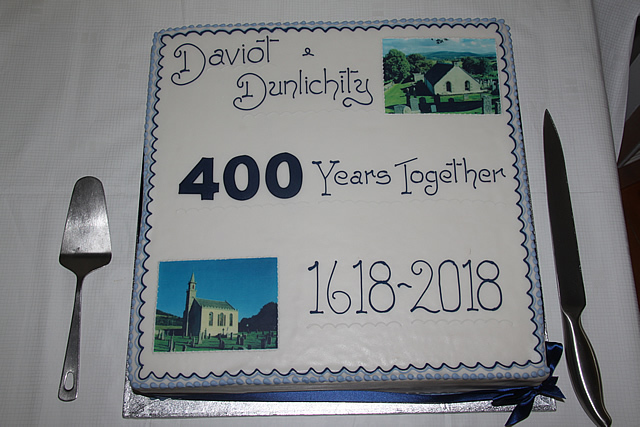 Reg Campbell gave a 5 minute talk at the Dunlichity service in June 2018 celebrating the union of Daviot & Dunlichity’s 400th Anniversary.